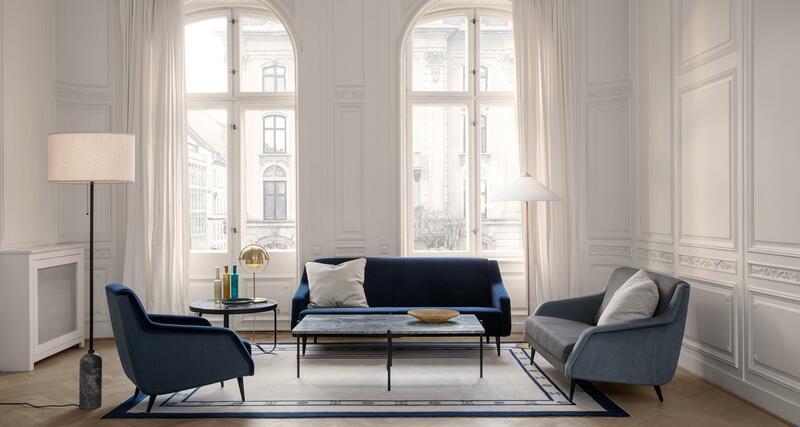 56.2" x 32.3" 72.4" x 32.3"
The Gubi CDC.1 Sofa meets the ground in a graceful and slender way - its arms swooping like wings, giving it a sense of poetic depth, whilst carrying a strong character. With its sleek silhouette and dynamic, angular lines the CDC.1 Sofa marries streamlined functionalism with playful whimsy and is well-suited for conversation and relaxation in the modern residential environment. Available in two sizes with a variety of leg finishes.